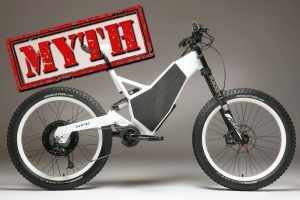 The popularity of electric bikes and scooters is increasing. However, the boss might ask to stay longer at work and meeting with old friends might end up late. Though, you might need to travel at home in the darkness. Are you prepared for it? 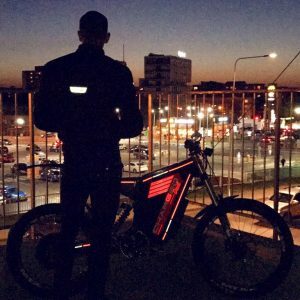 Driving electric bike in the night time might be extremely dangerous, especially if you do not have a reflective vest put on. The absence of bike lights also makes you a potential victim of an accident. Unfortunately, the majority of car drivers are not friendly to cyclists. Bike drivers are not treated as equal. However, they should also take some responsibility. 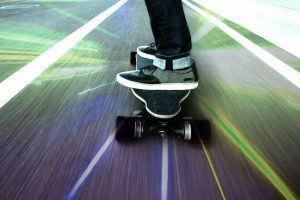 Riders often do not take necessary safety measures and become invisible in the dark. 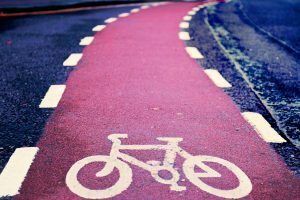 It’s important to realize that in case of the accident, cyclists are the ones who suffer the most. 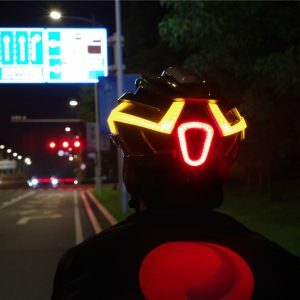 If you have to ride an electric scooter, bike or even longboard in the dark, you have to make sure that others can see you. Of course, rule number one is choosing bike paths with proper lightening. However, it’s not always possible. The cyclists-friendly infrastructure is not always available. Thus, the visibility problem occurs. However, the biggest importance to safety should be considered by those who have to drive in the regular road with other cars. Drivers may not see you if you do not have light reflecting clothes or proper lights on your electric bike. According to the statistics, the majority of cyclists end up in the accidents and get injured because they were invisible in the street. light reflective skin or stickers. Different countries often regulate rules for bike drivers. However, the major requirements remain the same: wear a reflecting vest and attach lights or reflectors to the front and back of the bike. Bike spoke lights might also be required. However, judging from the statistics, these security measures are not enough. 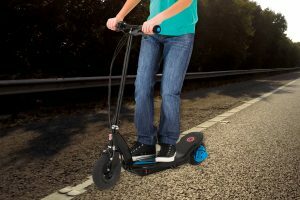 We recommend to electric bikes and scooters owners to attach lights with turn signals on their vehicles. These items will let other drivers understand your behavior better. We also offer to try few novelties, such as a helmet with brake lights and gloves with LED lights. These accessories not only protects you from physical traumas and won’t let you become invisible. LED lights attached to the wheels also add extra safety layer and solves invisibility problem tool. Besides, they let you get creative! 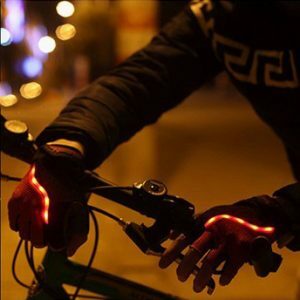 Colorful lights allow creating an artistic or creative design and make your electric bike stand out and be visible in the dark. Another novelty is stickers or reflective skin that can be put on both electric bikes and scooters. They are visible from the sides and vehicle’s back even in the darkest nights. These components are integrated into our electric scooters and bikes because we value your safety. However, the majority of electric vehicles are sold without these items. Thus, safety becomes only user’s responsibility. If you decide to get other manufacturer’s production, you should invest in your visibility. The market is full of various reflectors, lights, reflecting vests and other components. However, you should look up for the most important feature – high-level visibility in the night time when the majority of accidents occur. Do not forget that you should not limit yourself and be as bright as you can.